Count your blessings! Use this free printable Valentine journal page and Valentine placemat to encourage children to know what they love and be grateful for it. 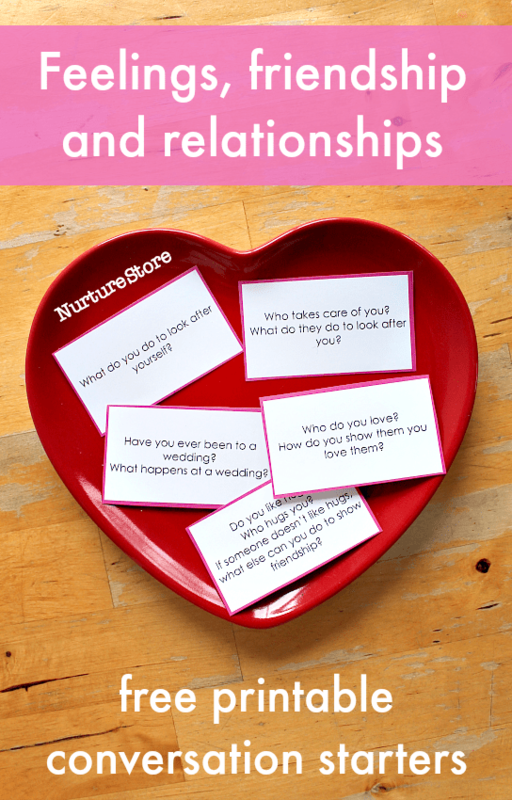 A fun creative writing prompt for Valentine’s Day – or any day! 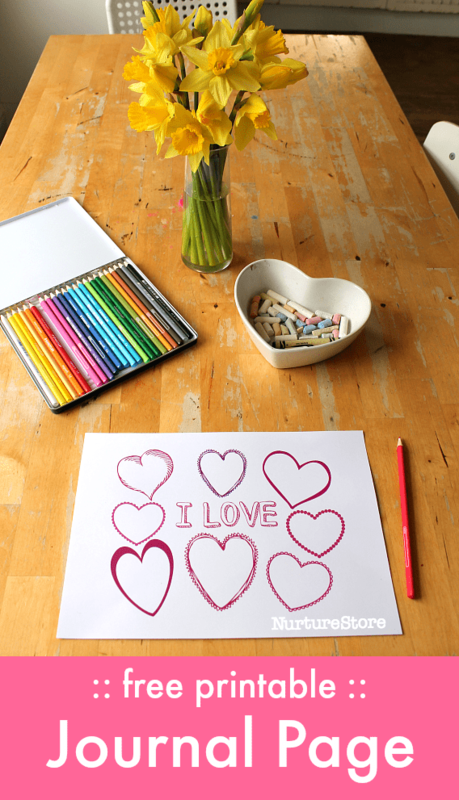 This Valentine printable for children can be used either as a journal page or as a placemat. 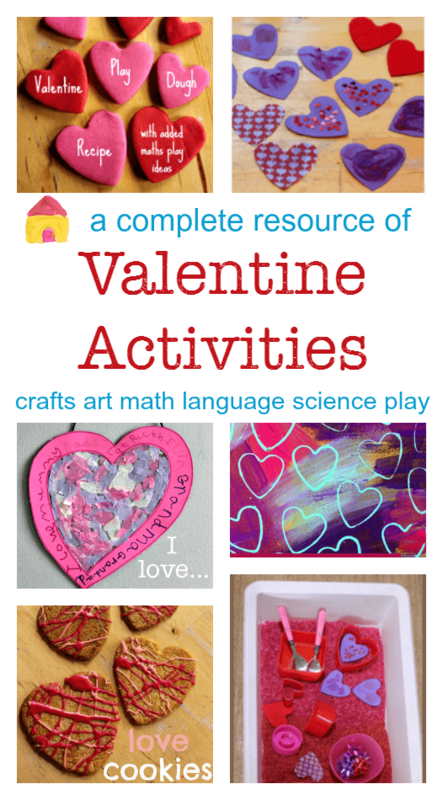 With a simple prompt to draw or write all the things you love, it’s a fun and create way to make Valentine’s Day relevant for children, and encourage everyone to focus on their blessings and gratitude. Download and print the journal page / placemat. You can print as many copies as you would like, for your whole family, class or community group. Set out the pages along with pens and pencils. Invite your children to complete their page: what do they love? who do they love? 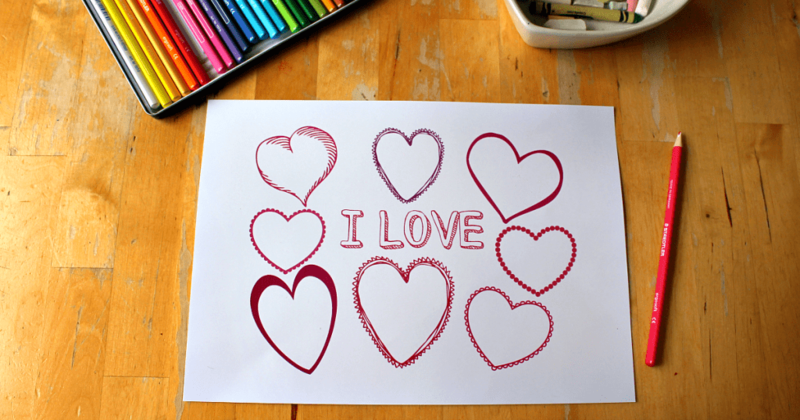 Draw and write the answers in each of the hearts on the printable. You might play some music while you listen – happy love songs! You can use the printable as a journal page, or as a placemat for the dinner/snack table. Spend a few minutes going around your group and sharing what you love. P.S. Print my feelings conversation starters too! They’re a great way to talk about feelings and relationships.